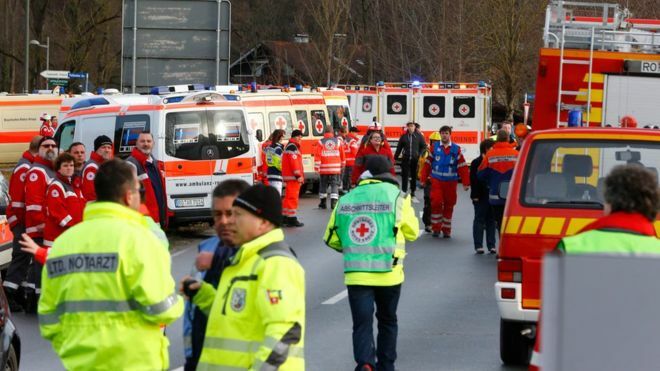 Two passenger trains have collided in the German state of Bavaria, with police saying at least four people have been killed and scores injured. Regional police said in a tweet (in German) that four people were dead and about 100 injured, of whom 15 were in a critical condition and 40 seriously hurt. He said the two regional trains had collided on a single track between Rosenheim and Holzkirchen shortly before 07:00 local time (06:00 GMT).